Happy weekend! We hope you are enjoying a wonderful and relaxing weekend and managing to stay warm. Now it is time to sit back with a cuppa tea or java, and check out the latest in Royal Caribbean cruise news. 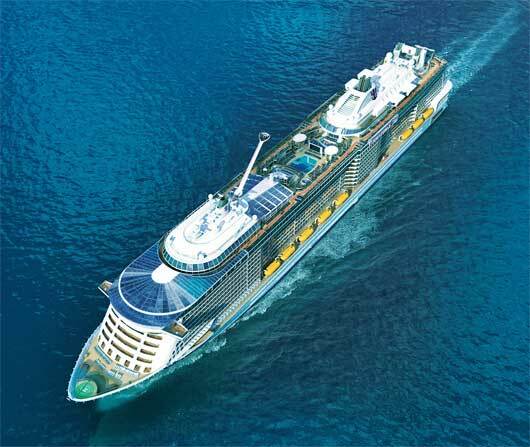 It now appears Royal Caribbean's second Quantum Ultra Class cruise ship will visit the UK after it launches next year. Royal Caribbean President and CEO Michael Bayley hinted at the fact Royal Caribbean will offer sailings to the United Kingdom in October 2020. Royal Caribbean's first Quantum Ultra Class, Spectrum of the Seas, will launch in April and head to Shanghai to begin sailing from June. However, the second Quantum Ultra ship will "definitely not" be going to China. The new cruise terminal in Galveston will feature facial recognition technology. Royal Caribbean added a new flight simulator shore excursion. Check out our top 10 Alaska cruise planning tips. We listed one must-eat place on every Royal Caribbean ship. Here are the Royal Caribbean bars you can also grab a bite to eat in addition to a drink. Enjoy these tips and tricks for the Boardwalk neighborhood. The 285th episode of the Royal Caribbean Blog Podcast is now available, where we have a review of a multi-port Cuba itinerary. Royal Caribbean recently expanded its sailings to Cuba to include even more stops on the island. This week, Bryan shares his review of an Empress of the Seas cruise that visited three different ports in Cuba. Simply Emma shared her wheelchair accessible experience on a Royal Caribbean cruise. Eyewitness News posted news that Royal Caribbean gave scholarships to two maritime students in the Bahamas. Travel Weekly interviewed Ben Bouldin, Royal Caribbean International’s associate vice-president and UK managing director.